Fact-check: Does West Virginia Spend Half its Budget on K-12 Education? How much are students improving in your school district? The excitement in the room is hard to miss – and it’s coming from the kids as well as the teacher. “Kiss your brain for knowing that!” Dr. Stephanie Parker exclaims to her students at Huffman Academy Pre-K this cool December morning in Birmingham, Alabama. The class is part of Alabama’s First Class Pre-K program. Surrounded by colorful charts, educational photos and pictures of kids and their art, Parker takes her eager students through a recitation of the previous day’s Gingerbread Man story, as part of their “morning meeting.” She’s sitting in her wooden rocker at eye level with the kids, who talk and shout excitedly, answering her questions. When they get something right, she applauds them with either a “kiss your brain,” or after a particularly significant achievement, encourages them to do a “standing Saturday Night Fever,” – with more than a dozen kids mimicking John Travolta’s hand-across-the-body dance move. 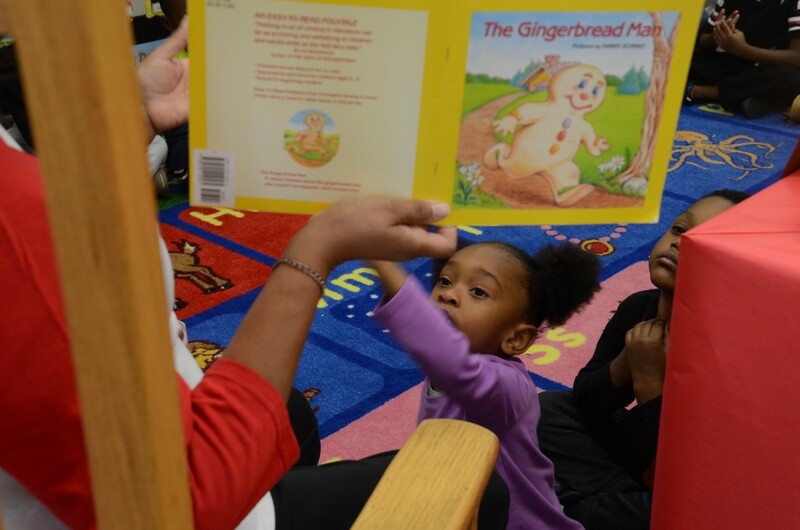 In the classroom next door, Denise Dennis’s preschoolers– after their own morning meeting– are putting together gingerbread houses, some sitting at a small round table with their teacher, others at another table with her auxiliary teacher Wyesha Pullum. There are two teachers in each pre-K class at Huffman Academy, and that is just one of the reasons Alabama’s public pre-K program got high marks in July from the Rutgers University-based National Institute for Early Education Research (NIEER). NIEER ranked the efforts of 43 states and the District of Columbia to provide quality instruction for kids before kindergarten age. For those who expect Alabama to be at the bottom of the list in educational achievement, the NIEER report may come as a surprise. The report concludes that Alabama’s program fully meets 14 of the 15 essential elements. The standard was derived from research by Jim Minervino, founder and CEO of Ready On Day One, a Washington state-based nonprofit focused on making sure that all children are ready to learn on the first day of kindergarten. The fact is that this result is nothing new; Alabama’s First Class Pre-K program has met all of NIEER’s benchmarks for quality standards every school year since 2006. The only one of the 15 essential elements that Alabama’s program doesn’t fully meet, NIEER concludes, is “strong supports for dual language learners.” On that score, the state pre-K program ranks as “partially” meeting the standard. “What distinguishes Alabama from most other programs in the country, in fact from almost all of them, is that Alabama hits all of those. Alabama’s hitting on all cylinders,” Barnett says. “In terms of the enabling environment, that’s basically do you have the resources, not just the financial resources, but is there the political will? Is there strong leadership? And Alabama has that both from state government, from the legislature, from a series of governors, from the agency that runs the pre-K program and is now cabinet level, but also outside in terms of support from higher education, support from the business community,” Barnett added. He cites Alabama’s commitment of resources, as well as political will – manifested in the creation of a cabinet level pre-K program with approval from the legislature and the offices of successive governors. He also commends state business leaders for supporting pre-K.
“I think the business community support in Alabama has been important because…they don’t have a self-interest apart from an interest in Alabama doing well in supporting pre-K,” Barnett notes. “And then the [rigorous] policies are, really, do you set high standards and put the resources behind them? And again, Alabama does that across the board,” he says. About the third major grouping, strong practices, Barnett says it has a lot to do with actually carrying out the policies. He notes that in the state, strong teaching and professional development, along with assessments of individual children and classrooms make a difference. “Alabama does all of those things and very few other state programs do,” Barnett says. Alabama is a state which does not always score so highly in national education rankings. For example, Education Week’s Quality Counts Report in 2018 offered states grades on K-12 achievement; in that assessment, Alabama scored a D – slightly ahead of Mississippi, Oklahoma, South Carolina, Oregon and Arkansas which got the same score. On the other hand, the same Education Week assessment gave Alabama a C for student chances for success, on par with states including California, Texas, Oregon and Florida. Alabama’s First Class Pre-K program, which was implemented in 2000, is technically a separate function from K-12 education in the state and benefits from a coalition of elements that make it stand out nationally. In most other states, pre-kindergarten falls under departments of education, sometimes supported by nonprofit foundations, Barnett says. Jeana Ross, secretary of the Alabama Department of Early Childhood Education (DECE), travelled to Montana to talk to the governor there about starting a similar pre-K program in his state. Ross says Alabama’s high rankings in the NIEER study result from concerted efforts in preschool programs, not only at public schools, but also at daycares, churches, Head Start, YMCAs and schools at colleges and military installations, which Ross says is key. “We all understand that we want this program for these children to truly be a program of excellence. So, we spend a lot of time looking at child outcomes. We spend a lot of time putting coaches into those classrooms, supporting those teachers and directors that hold the grants for these programs,” Ross says. Ross understands the particulars of putting together a First Class Pre-K program from more than one angle. As a former public school teacher and administrator, before becoming secretary of the Department of Early Childhood Education, Ross was one of the first to win a grant under the program. She served on the advisory committee for the program since the administration of Gov. Bob Riley, before being appointed secretary under Gov. Robert Bentley in 2012. Her department provides a framework for preschool programs to build on, which is how it was designed in 2000 when pre-K was established by Alabama state government as a separate, cabinet level education division, then called the Department of Children’s Affairs. The department was established under then-Gov. Don Siegelman, the last Democrat to serve as governor in Alabama, but then maintained by each of his three Republican successors. The Department of Children’s Affairs became the Department of Early Childhood Education in 2015. In 2017, the First Class Pre-K program got another dose of support from current Alabama Gov. Kay Ivey, who announced the Strong Start, Strong Finish Initiative, an effort to “integrate Alabama’s early childhood education, K-12 education and workforce development efforts into a seamless educational journey,” as described on the governor’s office website. Specifically, the initiative’s “Pre through Three” component “is focused on ensuring the Alabama First Class Pre-K program is available to all families who choose to participate and ensuring that all of Alabama’s third graders are proficient readers by 2022,” the website notes. He notes that Alabama’s Early Childhood department employs a substantial number of staff members – seven in the Office of School Readiness, with more than 150 (including coaches and mentors for each county in the state) in the department as a whole. Contrast that with much larger states which have much smaller staffs and Alabama’s commitment stands out, Barnett says. “I just think that’s one of the really smart things that Alabama’s done and a big part of these benchmarks is whether you actually have the state capacity to make sure these things happen,” he added. Alabama’s pre-K program has been proven to offer a classroom experience of high quality, Secretary Ross says. “If you’ll look on our website, we’ve got some amazing research from the program and some outcomes showing that the children that attended this First Class Pre-K program are out-performing their peers on state assessments. They’re less likely to be chronically absent. They’re also less likely to be retained in school…and they’re also less likely to need special education services,” she says. “The first thousand days is a period of maximum developmental plasticity, that means it’s the period during which as an organism we are most susceptible to change by environmental experiences, and those changes can have lifelong consequences,” Dr. Tim Moore, a senior research fellow at MCRI, and one of the authors of the study, said in an interview with AAP. The same article goes on to note that the brains of young children develop best when they have stimulation from the earliest possible moment, proper nutrition, protection from violence, abuse, neglect and traumatic experiences, and protection from pollution. Ross says Alabama’s program is trying to provide what children need as early as possible based on this international research into early childhood development and the evidence that it sets a child up for success in the future. About 75 percent of students entering First Class Pre-K programs in Selma during the 2016-2017 school year were performing below “widely held expectations for school readiness for their age,” Ross says. After a year of First Class Pre-K, 90 percent of those students were meeting those same school readiness expectations across the board. In order to have a preschool in the state-funded First Class Pre-K program, administrators have to apply for a grant and agree to a set of rigorous standards. The program, as noted on the department’s website, is funded by the state’s Education Trust Fund and the Preschool Development Grant through the Alabama Department of Early Childhood Education Office of School Readiness. “And that’s the whole point: doing whatever it takes to make sure that the children are getting the type of learning experience that they need to be ready for kindergarten,” she adds. A major part of assuring that children across the board are exposed to the same standard of teaching has to do with the training and support Ross’ department gives to teachers when they enter the First Class Pre-K program. A tiered coaching model means more efforts are with newer teachers, less with master teachers, she said. Even experienced teachers like Huffman Academy’s Stephanie Parker, a 22-year veteran, say they benefitted from the First Class Pre-K approach when she went from regular K-12 to the specialized preschool program five years ago. Parker, whose PhD is in early childhood education, says there are remarkable developmental differences in kids who have been through the First Class Pre-K program. She cited as an example, the game she played with her students, called “Mingle.” At first glance, it looks like this: children walking around the classroom chanting “mingle, mingle, mingle” until she stops them in their tracks and instructs them to gather themselves into groups of three. There is momentary confusion as they figure out how to do it. And again, when they realize there are some kids left over. Figuring out what to do next is part of the exercise, Parker says. “We’re not just trying to get academic skills down. In most instances, that will come – even if they haven’t been anywhere. But if we’re teaching them to start thinking at an early age, that makes a huge difference in the long-term education and livelihood of all children,” Parker says. A recently released report verifies that First Class Pre-K students do better in the short and long term than students who aren’t in the program. “Alabama public school students who participated in the state’s publicly funded First Class Pre-K program performed better on academic assessments than those who did not, and the improved performance persists as students progress through the early grades and into middle school,” as noted by the Public Affairs Research Council of Alabama. The study behind the Jan. 7, 2019, report results from collaboration between PARCA, the University of Alabama at Birmingham School of Public Health and UAB School of Education. It was funded by the Alabama Department of Early Childhood Education, the parent organization of the First Class Pre-K program, to test the results of the program using the standardized ACT Aspire Assessment System. The report shows that First Class Pre-K students do “statistically better” in math and reading than other students and that the results do not fade over time. Moreover, the study shows that First Class Pre-K helps close the learning gap between poor and non-poor students, PARCA reports. The study looked at ACT Aspire results from the three school years between 2014 and 2017. During the study period, 6.4 percent of students participated in First Class Pre-K, and those students were more likely to be black and live in poverty than students who did not participate in the program, according to the Alabama Department of Early Childhood Education brief on the study. Alabama’s First Class Pre-K program doesn’t yet touch all 3 and 4- year- old students, but with about a thousand classrooms now using the standards, the number served is significant. “We’re serving right at 33 percent of 4-year-olds right now, and what we know for sure is that we have right is about 5,700, close to 6,000 children, whose young parents signed them up for this program last year that did not get to go,” Ross says. That means that two-thirds of the state’s 4-year-olds are not yet able to access the First Class Pre-K program. Increasing those numbers will mean more classrooms, since First Class Pre-K limits the number of students per classroom. It will also mean more teachers, since First Class Pre-K requires two teachers per classroom. And it will mean more money. Pre-kindergarten is not mandated by law in Alabama, meaning that some parents might opt out of First Class Pre-K, even if it becomes available to their children. Ross believes the program should continue to be voluntary. But Ross says that her department also continues working on the one element that Alabama only partly meets, support for dual language learners, she says. Alabama is judged as having partially met that standard, meaning that the standards are either in place in some areas of the state but not others, “or the state has some provisions and support but no requirements,” NIEER’s report states. Alabama is one of five states meeting the standard partially; eight states meet the standard completely while 19 states don’t meet it at all. “Even this year we’ve progressed more; we’ll more than partially meet it the next time because we added more training for teachers that will address children that are dual language learners,” she says. Even after all her years with state education, Ross remains excited about and convinced of the power of the First Class Pre-K program. Barnett says NIEER investigated state programs by examining laws and policies on the books, documentation by teachers and school systems and interviews with child advocates and other interested parties in the state. And NIEER watches for success over time, Barnett says. “Relatively few do well across the board, and some of those states that do, do in fact have evidence that their programs are producing good results for kids. And part of it is not one year or some short period of time. Is this something that’s sustained for the long term and that’s one of the reasons that having political will and strong leaders in this enabling environment are important,” Barnett adds. And while some states don’t prioritize preschool – perhaps because of the idea that kids can catch up in K-12, Barnett argues that there is plenty of evidence to the contrary. This story was co-published in partnership with Birmingham Watch, a publication of the Alabama Initiative for Independent Journalism. With equal quantities of truth and empathy, the book Heartland reveals the stories of the rural working class. But Sarah Smarsh isn’t fighting for her tribe, she’s building bridges across America’s wcultural and politics divides. Sarah Smarsh is a unique and prophetic voice in American journalism. Sarah Smarsh has covered socioeconomic class, politics, and public policy for The Guardian, VQR, NewYorker.com, Harpers.org, The Texas Observer, and many others. She is currently a Joan Shorenstein Fellow at Harvard University’s Kennedy School of Government. A former Professor of Nonfiction Writing, Smarsh is a frequent Speaker on Economic Inequality and related Media Narratives. She lives in Kansas. Smarsh tells the convincing and compelling story about her fifth-generation Kansas farming family in her first book, Heartland, A Memoir of Working Hard and Being Broke in the Richest Country on Earth (Simon and Schuster). She introduces us to remarkable women like her grandmother Betty, who escapes the violent grasp of a husband who once shot her. Betty works through an endless string of jobs until becoming a parole officer, working at a county courthouse, the only woman to occupy that position. The images from these stories are unforgettable – Betty dancing on the kitchen table or holding on to Sarah and a beer as Arnie, her husband, takes them on a precarious sledding spin through the Kansas winter snow. Jeannie, Sarah’s mother, is a beautiful, intelligent yet distant figure who struggles with the effects of working class poverty’s challenge for women – teenage pregnancy. Sarah was born when her mom, Jeannie, was 17 years old. Jeannie was born when her mom, Betty, was 16 years old. Of many characters in this book, Smarsh herself is one of the most compelling, from a curious questioning child to a resilient college student working three jobs to graduate from the University of Kansas. Often Smarsh talks to August, her imagined child, that she might have had as a teenager. The technique works and reminds the reader that this writer has lived in two very different worlds and that she will not give up on either one. These stories are told honestly and forthrightly. One senses that Smarsh aims above all to tell the truth, but that the truth can only be uncovered with empathy. The people she writes about are not caricature heroes who rise above it all to show us what character is about. Many are tough and resilient, yet flawed. A few are violent and ruthless. Smarsh is grateful that the men in her life, her grandfather-in-law, Arnie, and her father, Nick, are not violent and that each has been an advocate for her. She writes about Arnie and her community after Arnie has died and his farm equipment is being auctioned off. As a writer, Sarah Smarsh has been a persistent voice for naming what Barbara Ehrenreich says on the back of the book is “America’s most taboo subject, which is class.” Smarsh puts it like this. … [I]n my early adulthood, I don’t think I’d ever heard the term “white working class.” The experience it describes contains both racial privilege and economic disadvantage, which can exist simultaneously. This was an obvious, apolitical fact for those of us who lived that juxtaposition every day. But it seemed to make some people uneasy, as though our grievance put us in competition with poor people of other races. Wealthy white people, in particular, seemed to want to distance themselves from our place and our truth. Our struggles forced a question about America that many were not willing to face: If a person could go to work every day and still not be able to pay the bills and the reason wasn’t racism, what less articulated problem was afoot? When I was growing up, the United States had convinced itself that class didn’t exist here. ….. This lack of acknowledgement at once invalidated what we were experiencing and shamed us if we tried to express it. Class was not discussed, let alone understood. This meant that, for a child of my disposition – given to prodding every family secret, to sifting through old drawers for clues about the mysterious people I loved – everyday had the quiet underpinning of frustration. The defining feeling of my childhood was that of being told there wasn’t a problem when I knew damn well there was. Smarsh knows that justice is not a zero-sum game. To name the suffering of one person is not to invalidate the suffering of another person from a different experience. Rather, by telling the stories of people without a voice is to humanize us all. 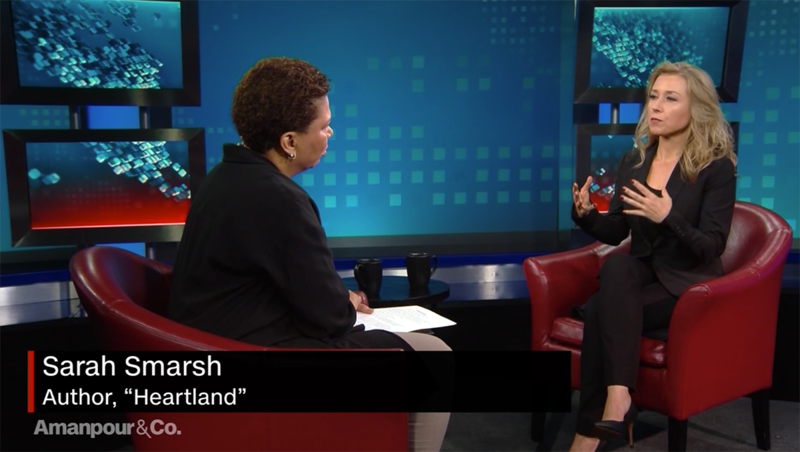 Smarsh is a bridge builder between women and men, rural and urban, rich and poor. In our present moment of division and culture warfare this is where Smarsh is at her most prophetic. She is not fighting for her tribe. She is telling a story that connects human beings. This article was originally published by Daily Yonder. The Virginia city has one of the widest achievement gaps in the U.S., and a ProPublica/New York Times analysis shows that white students there are about four times as likely as black students to be considered gifted. 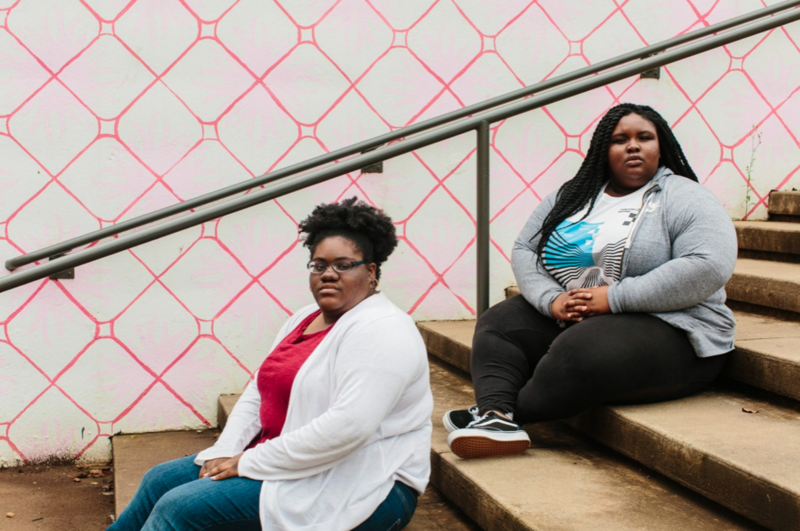 CHARLOTTESVILLE, Va. — High school seniors Zyahna Bryant and Trinity Hughes have been friends since they were 6 years old, raised by blue-collar families in this affluent college town. They played on the same T-ball and softball teams and were in the same church group. But like many African-American children in Charlottesville, Trinity lived on the south side of town and went to a predominantly black neighborhood elementary school. Zyahna lived across the train tracks on the north side and was zoned to a mostly white school, near the University of Virginia campus, that boasts the city’s highest reading scores. In elementary school, Zyahna was chosen for the district’s program for gifted students. Since then, she has completed more than a dozen Advanced Placement and college-level courses, maintained a nearly 4.0 average, and has been a student leader and a community activist. She has her eyes set on a prestigious university like UVA. “I want to go somewhere where it shows how much hard work I’ve put in,” said Zyahna. Trinity wasn’t selected for the gifted program. She tried to enroll in higher-level courses and was denied. She expects to graduate later this school year, but with a transcript that she says won’t make her competitive for selective four-year colleges. For every student like Zyahna in Charlottesville’s schools, there are scores like Trinity, caught in one of the widest educational disparities in the United States. Charlottesville’s racial inequities mirror college towns across the country, from Berkeley, California, to Evanston, Illinois. But they also match the wider world of education, which is grappling with racial gaps — in areas from gifted programs to school discipline — that can undercut the effort to equitably prepare students for college in a competitive economy. The debate over the city’s statue of Robert E. Lee and the white supremacist march last year set Charlottesville apart and spurred it to confront its Confederate past. But the city hasn’t fully come to terms with another aspect of its Jim Crow legacy: a school system that segregates students from the time they start and steers them into separate and unequal tracks. Since 2005, the academic gulf between white and black students in Charlottesville has widened in nearly all subjects, including reading, writing, history and science. As of last year, half of all black students in Charlottesville could not read at grade level, compared with only a tenth of white students, according to state data. Black students in Charlottesville lag on average about three and a half grades behind their white peers in reading and math, compared with a national gap of about two grades. Over the decades, school board members have often brushed aside findings of racial inequality in Charlottesville schools, including a 2004 audit — commissioned by the district’s first African-American superintendent — that blamed inadequate leadership and a history of racism for the persistent underachievement of its black students. Officials in the 4,500-student district — which spends about $16,000 per pupil, one of the highest rates in the state — instead point to socioeconomic differences; the vast majority of Charlottesville’s black children qualify for free or reduced-price meals at school because of low family income. District leaders say they are tackling the achievement gap, with initiatives such as eliminating prerequisites for advanced classes. Besides, they say, test scores are only one measure of success. About a third of the 25 districts with the widest achievement disparities between white and black students are in or near college towns, according to a review of data compiled by researchers at Stanford University. That may be because affluent families in university towns invest a large proportion of their resources in their children’s education, said Sean Reardon, a professor of education at Stanford. In such communities, “disparities in resources — between white and black students, for example — may be more consequential,” Reardon said. Still, socioeconomics don’t fully explain the gap. State exam data shows that, among Charlottesville children from low-income families, white students outperformed black students in all subjects over the last three years. The same pattern holds true for wealthier students. And in the last year, even the city’s immigrant students who are learning English have outperformed black students on state exams in every subject. Atkins said that what doesn’t show up in test scores is how far behind black children start and how they sometimes have to acquire two years’ worth of skills in just one year. Among white parents, last year’s rallies have fostered franker discussions of racial inequality, said one of them, Guian McKee, a UVA associate professor. “There’s been a lot more openness to some of those challenging conversations,” he said. At their predominantly black elementary school, McKee’s two children participated in the gifted program, which is about three-quarters white. Such disparities, at odds with Charlottesville’s reputation as a bastion of Southern progressivism, have long been a taboo topic, he said. “For a lot of people, it’s really uncomfortable to see that even if you haven’t personally done anything wrong, you’re part of larger structures that contribute to producing poverty and inequality, including in educational outcomes,” McKee said. Much like its Confederate past, Charlottesville’s history of school segregation weighs heavily on the present day. “I don’t think the hate groups selected our community by chance,” Atkins said. Charlottesville greeted the Supreme Court’s 1954 Brown v. Board of Education desegregation decision with a firm no. In 1958, Gov. J. Lindsay Almond ordered the city to shut down two white-serving public schools rather than integrate. Many white families opted for private schools, which were able to secure public funding through voucher-like tuition grants. Under pressure from the Supreme Court of Virginia, Charlottesville reopened its schools in 1959, allowing a dozen black students to attend its historically white schools. But the city’s resistance to integration persisted. Instead of outright segregation, the white-led district established testing requirements solely for black students who tried to enroll in historically white schools. It also allowed white students who lived in attendance zones of historically black schools to transfer back to predominantly white schools. Black students who lived near mostly white schools were assigned to black schools. After a federal appeals court invalidated the district’s attendance policies, the city relied more closely on residential zones to sort students. In 1984, Charlottesville High School ignited after the student newspaper published derogatory remarks about black students. The high school was shut down for a day. “Seniors for White Supremacy” was painted in its parking lot. Two years later, the board considered redrawing school zones to bolster racial and economic equity, but it worried about white flight. In the end, elementary school boundaries were largely left alone. The district pooled the city’s middle school students into two schools, one serving all fifth- and sixth-graders, and the other serving all seventh- and eighth-graders. The number of white students declined about 20 percent within a decade. Other efforts to reshape attendance zones faced resistance. In 2003, a predominantly black group of families asked to send their children to Venable, one of the historically white schools that had closed rather than integrate. Venable, which Zyahna would later attend, has the highest reading proficiency of all elementary schools in the city. The black families lived several blocks from Venable and had grown frustrated by their children’s long commutes to their zoned school. But when the board proposed reassigning the 20 children, white parents from Venable “freaked,” said Dede Smith, then a school board member. “We will NOT accept redistricting when it is done, as in this situation, sloppily and hurriedly and in a way which negatively impacts the quality of education for all students involved,” read a letter from the Venable parent-teacher organization. It took a year for the board to rezone the children to Venable, according to Smith. Today, some black families are able to send their children there, but residents of a mostly black public housing complex nearby are not among them. “We only put our toe in the water,” Smith said. The following year, in 2004, the school board hired Scottie Griffin as superintendent. She tapped a respected education association to review inequities across the district. The report by five academics revealed a deeply fractured school system. The auditors pushed for increasing black students’ access to high-level academic programs, including gifted and Advanced Placement courses. ​​Today, Galvin largely stands by that position. “A ‘too narrow and racially biased’ focus on the schools does a disservice to the dedicated educators who have made a difference and risks misdiagnosing a complex problem, leading to ineffective solutions,” she said. In 2005, within a year of her hiring, Griffin was pushed out. She did not respond to questions from the Times and ProPublica. Atkins said she has incorporated some of the audit’s recommendations, such as data-driven decision-making and a reorganization of central office staff, into the district’s strategic plan. One of the audit’s central focuses was the city’s gifted program, known as Quest. As white enrollment in the city’s schools contracted over the years, the program tripled in size, according to an analysis by a UVA researcher, largely benefitting the white families who remained. To black families, segregation had returned by another name. In 1984, only 11 percent of Charlottesville’s white students qualified as gifted, according to federal data from the UVA analysis. By 2003, according to the audit, about a third of white students qualified, the same proportion as today. White students make up more than 70 percent of the district’s gifted students. When students are selected for Quest, they are pulled out of their regular classrooms for enrichment sessions in academics and arts with a specialized teacher in a designated classroom. For children who read below grade level, the city offers a supplemental program called Extending the Bridges of Literacy. But the literacy program takes place after school, and it is taught by any instructors who volunteer to extend their workday for extra pay, regardless of whether they have specialized intervention training. Racial inequities persist into the high school’s Advanced Placement courses, which provide students with college credits. White students in Charlottesville are nearly six times as likely to be in AP courses as their black peers, according to recently released federal data. In the last two years, Charlottesville High administrators have introduced staff training on racial inequalities. Teachers have participated in professional development that included studying “equity-based teaching,” lessons in Charlottesville’s local black history and Civil War history, and workshops on implicit bias. The school’s principal also set up focus groups and surveyed high-performing black students about underrepresentation in advanced courses. Atkins has introduced other initiatives aimed at reducing the achievement gap. Besides abolishing prerequisites for advanced courses, she created a “matrix” that families could follow to map out a sequence of coursework. She also has tried to remedy the underrepresentation of minorities and girls in science electives by giving every middle schooler an opportunity to take an engineering course. The school district has also expanded what it calls “Honors-Option” courses, in which students can opt to meet requirements for regular or honors credit. Jennifer Horne, an English teacher at Charlottesville High School, called her honors-option course “the most beautiful place in the building. 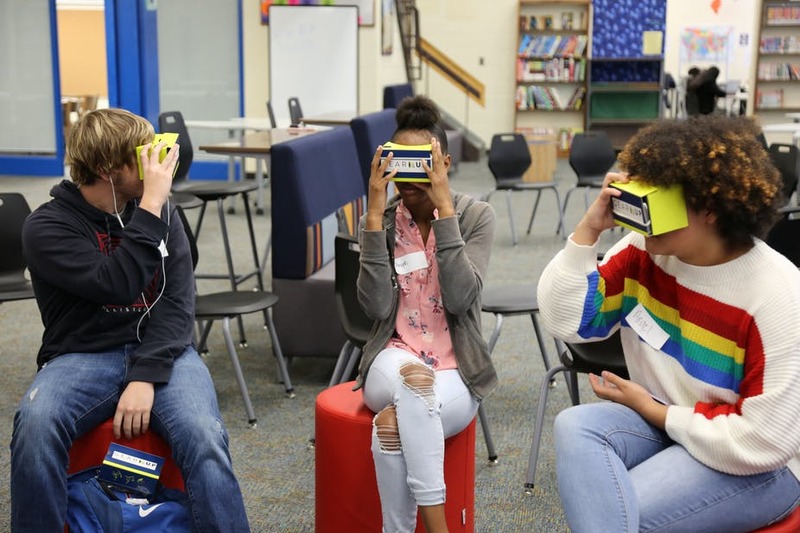 You’ve got struggling readers and kids who are way smarter than me in the same room.” She said she is able to pose the “big questions,” which are usually reserved for advanced courses, and identify students with untapped potential. With the help of a scholarship, Zyahna attended preschool to first grade at an elite private school. Her preparation helped her to pass an admission test for the gifted program after she entered Venable. As she got older, church members who worked in the schools advised her on the programs and classes she needed to stay on pace with her white peers. Zyahna felt isolated in the sea of white faces. She became an activist, founding the Black Student Union, petitioning the City Council to remove the Lee statue and speaking out at school board meetings about the achievement gap. “It has caused me to become even more of an advocate for people of color, just for my blackness, because you enter into this whole sunken place when you get into honors and AP courses,” she said. Trinity said she lost that confidence as teachers repeatedly rejected her requests to enroll in higher level courses. She tried to take Algebra II her junior year, an essential course for many colleges. Trinity had struggled early in a geometry course but had stayed after school, sought tutoring and earned a B. She figured that she could work just as hard in Algebra II. Her geometry teacher wouldn’t allow it, Trinity said. The teacher declined to comment on individual students. School officials said that a student’s performance in geometry isn’t the only factor in a teacher’s recommendation for Algebra II. Trinity’s mother, Valarie Walker, fought for Trinity to take higher level courses, but school personnel didn’t “want to listen to what the black kids have to say,” she said. About 88 percent of black students graduate, just under the state average for African Americans, and up from 66 percent a decade ago. They trail their white peers by about 8 percentage points. The district’s graduation rate, 92.6 percent, is at its highest since the segregation era, said Atkins. But all diplomas are not equal. About three decades ago, Virginia established a two-tier diploma track, in which districts award “standard” or “advanced” diplomas based on a student’s coursework. It’s one of at least 14 states with this kind of approach. Three years ago, the state superintendent of public instruction proposed moving to a single-diploma system but backed off when parents complained. The advanced diploma requires students to complete an additional credit in mathematics, science and history and mandates students to take at least three years of a foreign language; for the standard diploma, learning a language is not compulsory. Starting as early as middle school, honors and accelerated courses put some students on a path to advanced high school credits. In Charlottesville, about three-quarters of white students graduate with an advanced diploma, compared with a quarter of their black peers. The type of diploma that students receive overwhelmingly dictates whether they enroll in two- or four-year colleges, or move on to higher education at all. In Virginia, only a tenth of students with standard diplomas enroll in a four-year college, a recent study found. Since middle school, Trinity’s goal has been to attend James Madison University in Harrisonburg, Virginia. She has gained enough credits for an advanced diploma. But last month she learned that she would need a math class higher than Algebra II to gain admission. A university representative recommended she go to community college, and possibly transfer to James Madison. Michael Walsh, dean of admissions at James Madison, said 99 percent of students it accepts have gone beyond Algebra II. Zyahna’s achievements make her a prime candidate for an elite university. So she was taken aback when, as she was beginning her search, her principal encouraged her to explore community college. The principal says the context was a broad discussion with black student leaders about community college as an affordable option. That’s not how Zyahna heard it.